Looking for a gorgeous gift for your food-loving fiance or cookery-loving cousin? If so, look no further because when it comes to creating personalised gifts for foodies, we’re the ultimate professionals. Whether you want us to bake a cookie in the shape of a chef’s hat or decorate a giant biscuit with a picture of your friend’s favourite dish, we’ll unleash our culinary creativity to make something marvelous. 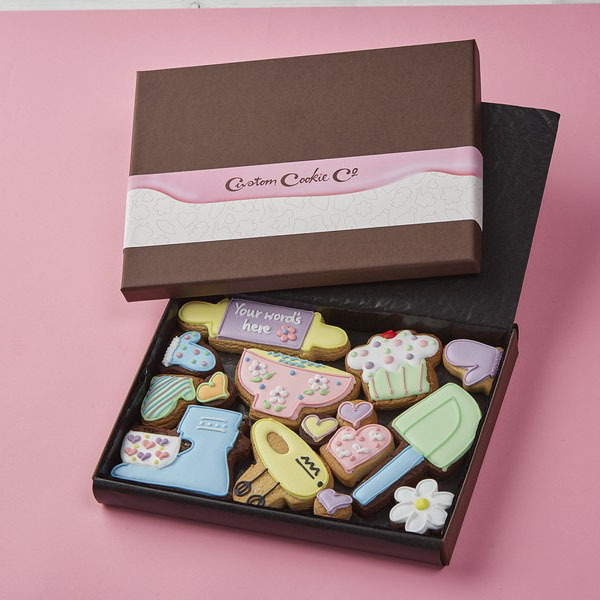 If you’d like to learn more about our wonderful cookie designs, please get in touch with the team.